The negotiations between Manchester United and David De Gea’s camp over a contract extension have dragged on for ages, but a promising finish line finally appears to be in sight. The Spaniard is said to be demanding an astronomical rise in his wages, with rumours of a deal consisting of a £300,000-a-week salary being floated around in the media. But the Red Devils are expected to meet these demands nonetheless, as they consider securing the custodian’s long-term future one of their topmost priorities. And if any further motive was necessary, it was abundantly provided by the player himself, through his sensational performance in the Mancunian giants’ 1-0 win over Tottenham Hotspur. Ole Gunnar Solskjaer has not only got the team back on track with 6 wins in 6 games, but he has also restored the team morale and the harmony amongst the squad members. Things seem to be heading in the right direction under the Norwegian, and this precise reason seems to have convinced David De Gea to finally extend his stay at the Theatre of Dreams. The Mirror reveals that the Spanish international now has a sense of “renewed optimism”, and he is ready to sign a new long-term contract, provided these right circumstances continue to persist at the club. 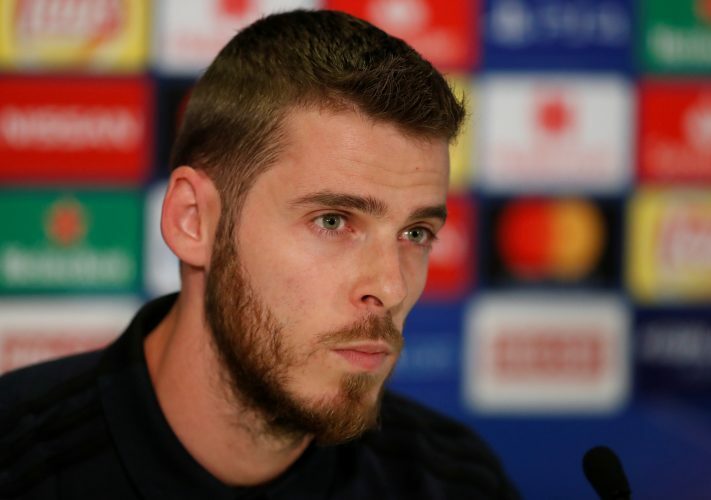 If Manchester United do get their star shot-stopper to put pen to paper this term itself, it will free the club to focus on making the huge imminent changes come summer with one major worry off their back.